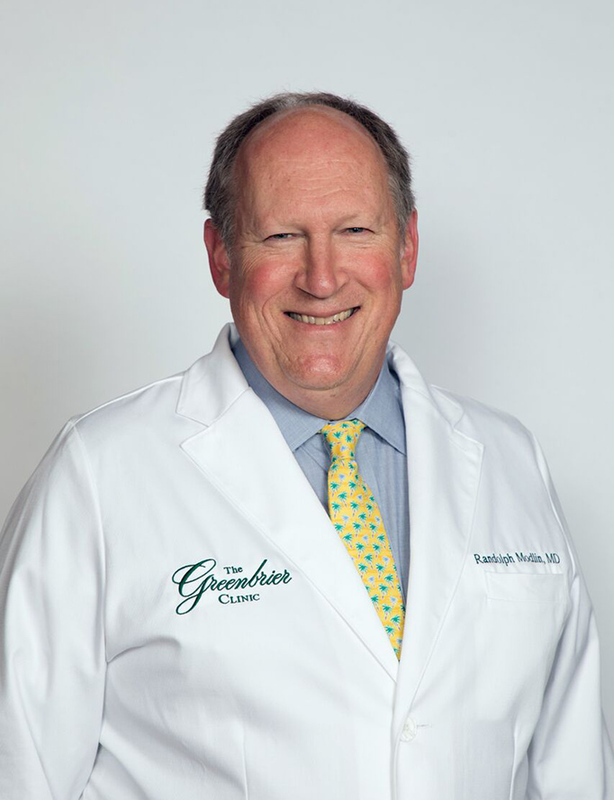 Dr. Randolph Modlin joined The Greenbrier Clinic after completing a 30-year career in the Army Medical Corps. A graduate of Greenbrier East High School, he attended Yale University, then joined the Army for his medical training at the Uniformed Services University of the Health Sciences. During the course of his military career, he served in Texas and Germany. While in Germany, he was closely involved in taking care of troops evacuated from Iraq and Afghanistan. He also served a tour in Afghanistan, directing civilian medical activities. In his last duty assignment, he served as Chief of Cardiology at Walter Reed National Military Medical Center as well as the Cardiology Consultant to the Army Surgeon General and to the White House. Dr. Modlin is Board Certified in Internal Medicine and Cardiology. He is a fellow in the American College of Physicians and a fellow in the American College of Cardiology. He has been extensively involved in medical education and has had faculty appointments to the University of Texas at San Antonio, Georgetown University and the Uniformed Services University of the Health Sciences. He has a special interest in cardiac imaging and prevention. He and his wife Shari are the proud parents of 5 children and 1 grandchild. His hobbies include biking and other outdoor activities, and historical research.